BEIRUT — The U.S. military says a number of service members were killed Wednesday in an explosion while conducting a routine patrol in Syria — the first instance of U.S. casualties since President Donald Trump announced his intention to withdraw troops from the country last month. 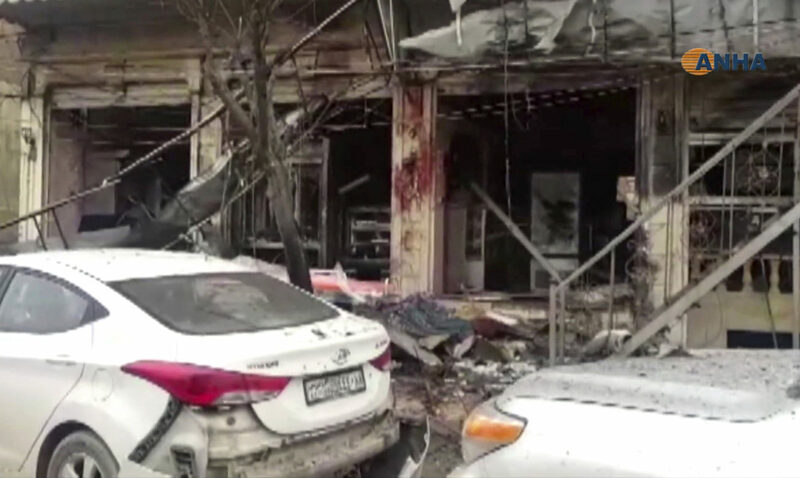 A local town council and a Syrian war monitoring group said the blast occurred near a restaurant near the town’s main market, near a patrol of the U.S.-led coalition, killing and wounding more than a dozen people. The rare attack came days after the U.S. began the process of withdrawing from Syria, pulling out equipment from the northeast into neighboring Iraq. Trump abruptly announced his intention to rapidly withdraw the 2,000 troops from Syria just before Christmas, declaring the Islamic State group to be defeated.